Ready to experience meat in a whole new way? 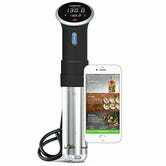 Amazon’s currently offering the Bluetooth model of Anova’s excellent Sous Vide immersion circulator for $100, essentially matching the price we saw on Black Friday. Lifehacker has a great explainer on Sous-Vide cooking for you to check out, but the basic idea is that you seal the food in plastic bags, and then cook it in precisely heated water over a longer period of time. It sounds weird, but trust me when I say that it works like magic. Every time we post this, we get some snark about the Bluetooth, so just know that it’s optional. 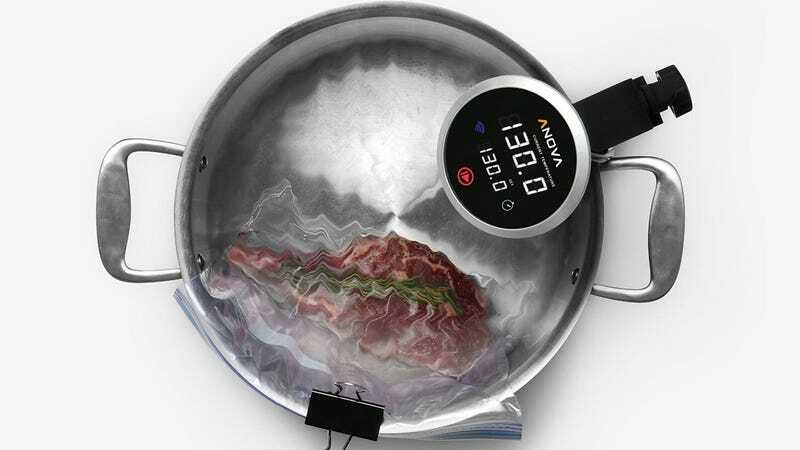 If you connect your phone, you can find a recipe via Anova’s app, and automatically program the cooker with one tap, but you certainly don’t need to use it.